Gerry & The Gems (Steve Feldman aka Gerry Stevens, Phil Aron, Barry Fettner & Steve Dworkin) were from Little Neck, New York, which is northeastern Queens. 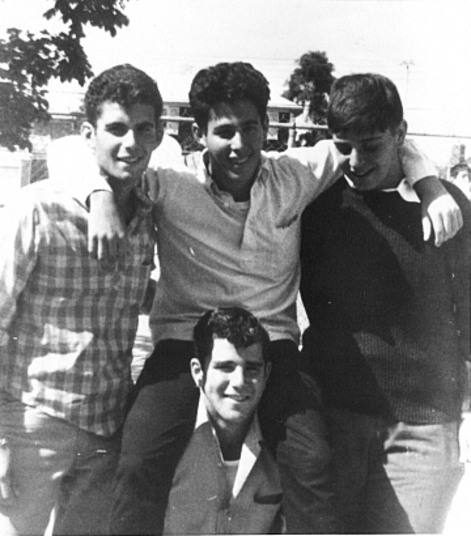 They all lived within a few blocks of each other & were in the same grade in school. Steve Feldman had been playing piano & writing songs since he was in grade school. 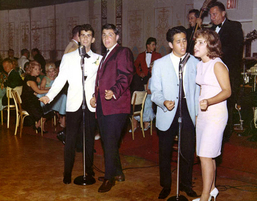 Although the group sang the standard doo wop songs, They also did original material that Steve wrote. In 1963, They went into a studio in Brooklyn, NY & recorded 3 tunes, 2 originals written by Steve, "I Remember" & "Come Along", and an uptempo version of "In The Still Of The Night". The group was supposed to record for M-G-M, with Teacho Wiltshire producing & arranging, but that didn't happen. Barry eventually left the group and Betsy Flehner, also from the neighborhood, joined. Having a female gave the group a different sound. they did shows with Betsy, but never recorded with her. Steve, Phil & Steve went on as a trio & recorded 2 songs at Belltone Studios in NY, "Can't Tell Her" & "Everytime", both written by Steve F. All the top studio musicians played on the record but it was never released. The group recorded lots of demos and did some singing with Joey Levine (of Ohio Express fame), who Steve sometimes wrote with & a teenage Bernadette Peters. 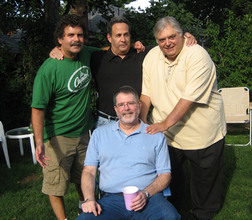 The group eventually went their separate ways, but remain friends to this day. In 1970, Steve Dworkin was producing and had to put a group together for a recording of Da Doo Ron Ron, so he called in Phil & Steve Feldman. He called the group Quicksand & it was released on Mercury Records (it is on Youtube). Phil Aron left music and opened his own business. He now lives in upstate New York. Barry Fettner, who also left singing, passed away a few years ago. 1963 - 2007 : Steve Dworkin, Steve Feldman, Phil Aron, Barry Fettner on bottom. Steve Dworkin formed a writing/producing partnership with Gary Willet of The Ovations and was a staff writer/producer for Super K Productions. He produced albums for The Queens Nectarine Machine & The Boarding House on ABC, & singles for The Charles E. Funk Rebellion on White Whale, The Flying Giraffe on Bell, Quicksand on Mercury and later on Her produced the High School Reunion album for The Ovations on Crystal Ball Records & The Emotions on Crystal Ball. He is a recording engineer in mid-town Manhattan & still lives in New York. 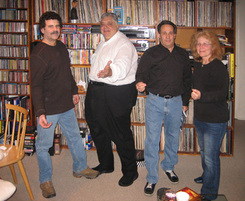 Steve Feldman continued writing and had some success with "We're Acting Like Lovers" by The Spellbinders on Columbia, Don't You Ever Give Up On Me by Dee Dee Warwick, Determination by Dean Parish, Sweeter Than Suger & Mercy by The Ohio Express, Porcupine by Nature Zone, he co-produced the "Let It Be Written, Let It Be Sung" album by Ellie Greenwich & had a solo album on Evolution Records. A single from it "Let Me Be Forever" went top 5 in South America. He also worked as a studio musician and a jingle singer. As a favor to Steve Dworkin, he put his lead vocal on "Lovin' Cup'" & "Candy Cane", by The Charles E Funk Rebellion. Steve lives in New Jersey. This group appeared on Callback! November 9, 1968 a local New York area television show filmed at the Village Gate in the Village. I wonder if their performance still exists? Barry Manilow was music director for the show.